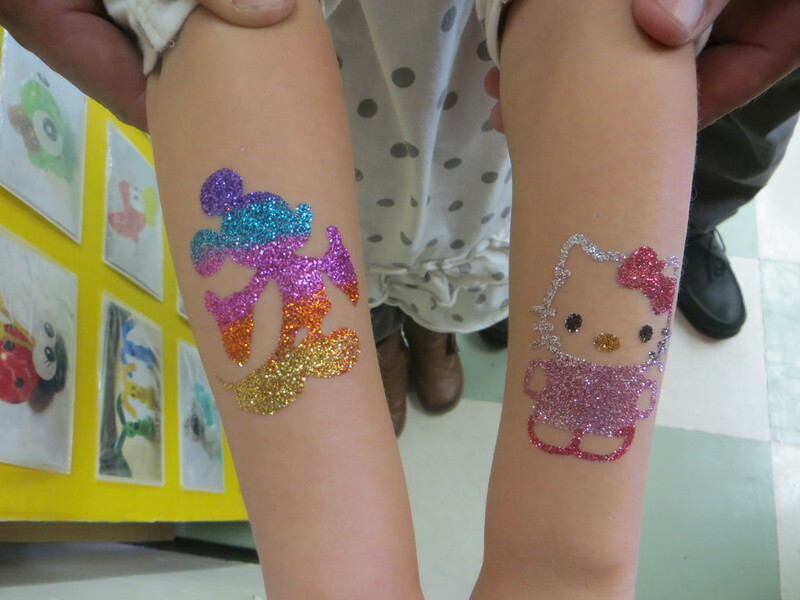 Everyone seems to love Glitter Tattoo Body Art Designs! These are the hottest trend in the entertainment industry for 2012. This activity is designed to appeal to everyone, kids, teens, adults, both male and female alike! Taking about 3 minutes to apply, each fabulous work of art dries immediately and lasts for several days! Guests can even jump in the pool right away, since this product is waterproof, yet may be easily removed with alcohol, baby oil or facial cleanser with a wash cloth. Once the stencil is selected, our artists paint on a gentle made-for-the-skin cosmetic grade latex-free liquid adhesive, Then, it is time for the color & sparkle! Our artist(s) will offer many fabulous shades of ultra-fine cosmetic glitter and UV glow-in-the-dark shades to choose from to create a special custom-made unique tattoo for each guest. The completed work-of-art produces an extraordinary multi-colored faceted, eye-catching design with crisp, precise edges. 30-40 guests: 1 artist for 2 hours minimum -or- 2 artists for 1 hour each to prevent longer lines. 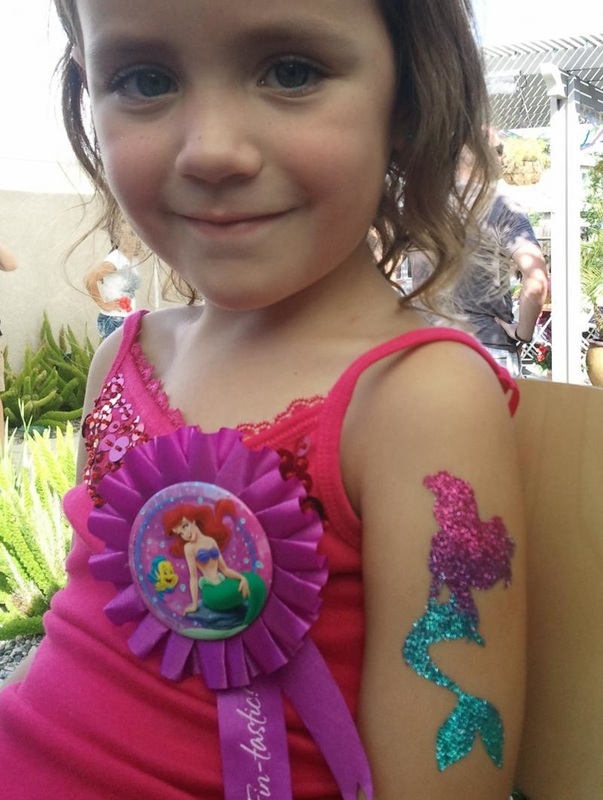 We have several glitter tattoo artists to fit the needs of larger groups.